If Somizi had the opportunity to meet God one on one, he’s got 2 questions to ask God. Though it sounds quite funny but quite true and reasonable. The media personality who was part of the 50 SA musicians who paid tribute to Johnny Clegg via a song titled, The Crossing shared a video of himself while in a plane revealing the two questions he wants to ask God. 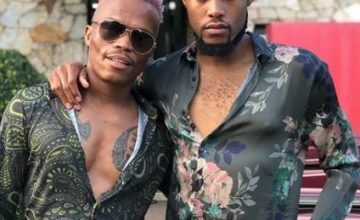 However, Somizi was grateful unto God for his creative skills and he declared that God is amazing. If you were to ask God 2 questions, what will it be?